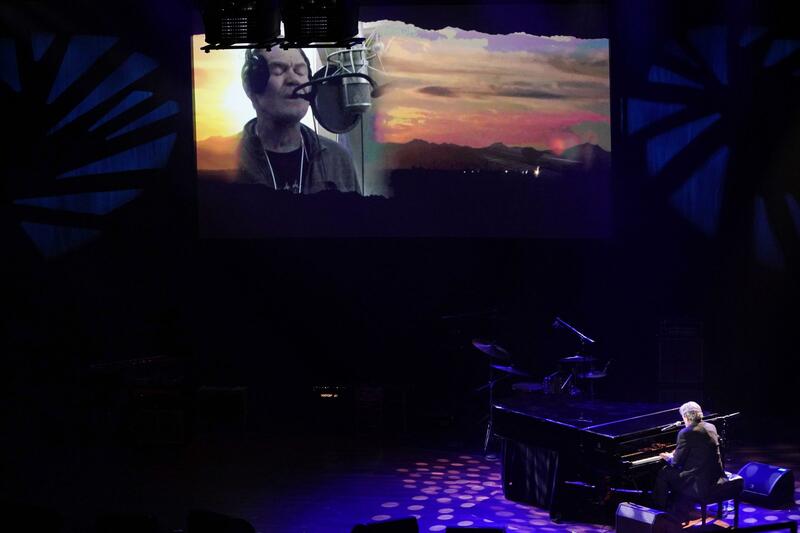 Jimmy Webb performs a tribute with the late Glen Campbell during the 55th Annual ASCAP Country Music Awards at the Ryman Auditorium on Monday, Nov. 6, 2017, in Nashville, Tenn.
Our conversation begins with a discussion of his childhood in rural Elk City, Oklahoma. He explains how his mother’s “iron will and sometimes anger” drove him to the piano. Plus, Webb talks about the time he was out plowing a field when a voice on the radio captivated him. It belonged to Glen Campbell, who became a close collaborator of Webb’s.